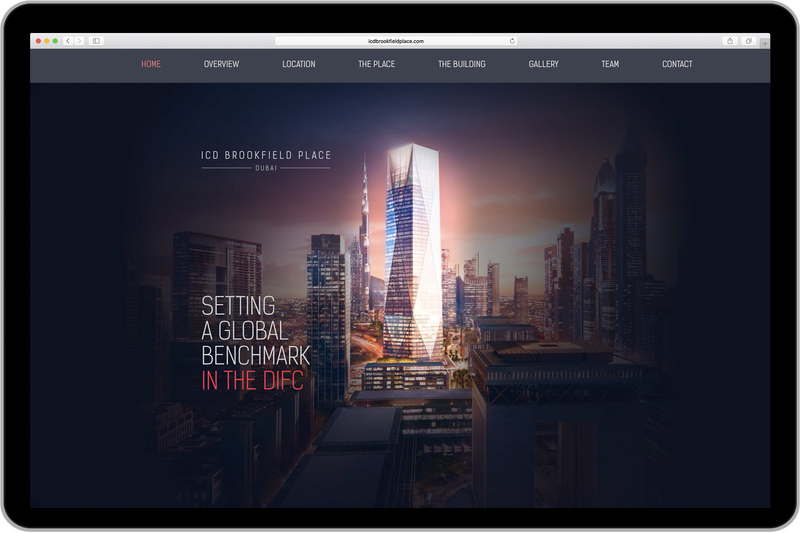 The client asked for development of a website based on a bespoke design for a 53 level tower in Dubai. 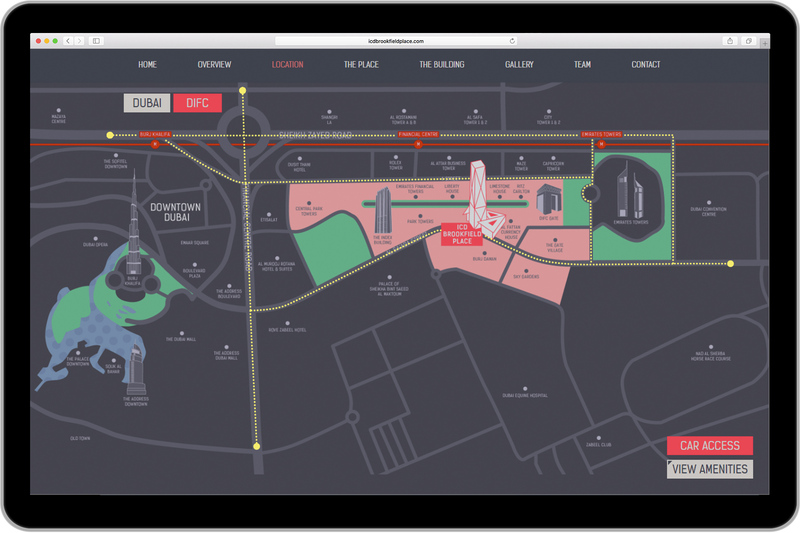 The design included maps with time-synched animations of car and metro routes expanding away from the building upon visiting the map or user interaction. Also an animated routes map upon zooming into a bigger scale of the map, with all the car routes animating sequentially around the building. The animation had to be responsive and interactive so browser natively coded SVG animation was used, no video or gifs thus making it functional on all devices and sizes including smart phones. 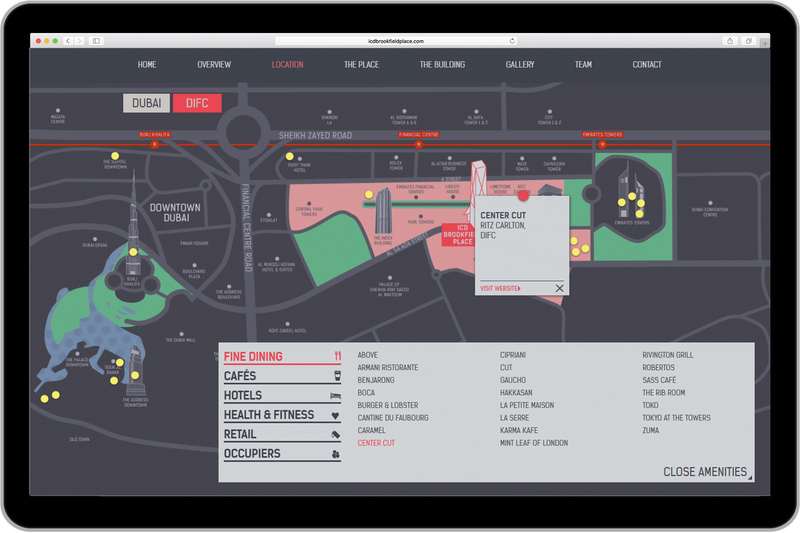 The final map layer involved a filterable amenities map, in which the user can filter though local amenities by category. Depending on the category, respective markers fade in that when clicked provide information and weblinks for the amenity. This functionality is also bespoke and hard coded to be fully responsive down to tablet size, with the only limitation beyond that being the inevitable lack of legibility. 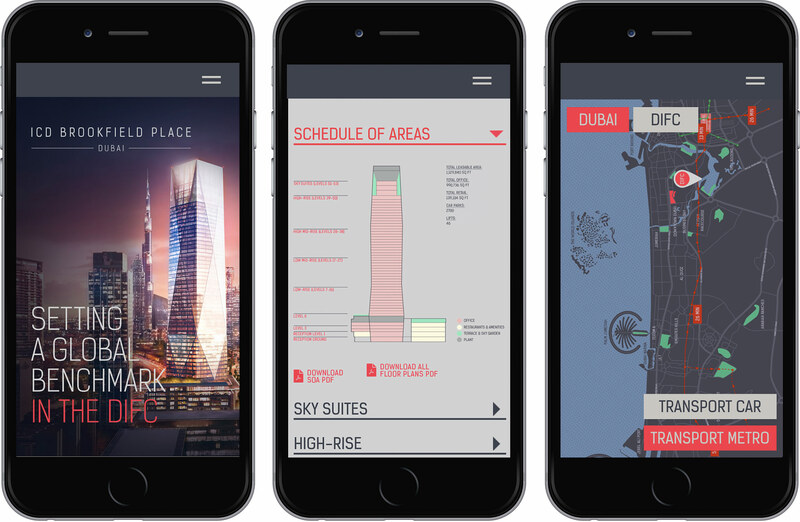 Other features included two galleries with the ability to change between list and a bespoke view, a custom expandable thumbnail carousel navigation option and an animated building floorplans page where the user can navigate seamlessly between the Shedule of Areas and each floorplan and its specs and download links.